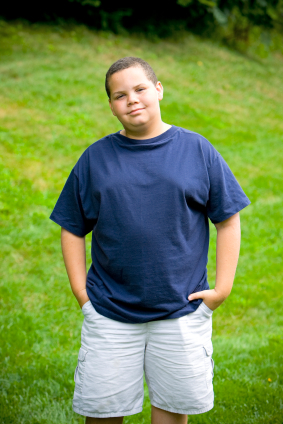 At the annual meeting of the American Academy of Child and Adolescent Psychiatry in Toronto in October 2011, a symposium on the impact of obesity on the course of childhood onset bipolar illness was held. David Axelson described the typical outcome of bipolar illness and the medications used during naturalistic treatment. The data came from the large collaborative Course and Outcome of Bipolar Illness among Youth (COBY) study, in which he and his colleagues followed 255 patients with bipolar I disorder (BP I), 30 patients with bipolar II (BP II), and 153 patients with bipolar not otherwise specified (BP NOS) for a mean of 5 years. He discussed only BP I children at the symposium. The study initially followed 270 BP I children for a mean of 582 weeks. They ranged in age from 7 to 17 years (average 14.4 years). Ninety-three percent of the children were treated with one or more antimanic (AM) agents. These included atypical antipsychotics (AA) in 77%, valproate or carbamazepine in 44%, and lithium in 47%. Antidepressants (ADs) were used in 46% of the children, stimulants in 43%, and benzodiazepines in 21%. Sixty percent had been on two classes of antimanic medications concurrently at some point. A univariate analysis showed that older children received smaller amounts of antipsychotics and more anticonvulsants and lithium. Variables associated with better response, that is, a rating of either much or very much improved on the Clinical Global Impressions scale for bipolar disorder (CGI-BP), included older age and treatment with atypical antipsychotics. Those who had comorbid attention deficit hyperactivity disorder (ADHD) or psychosis at baseline did more poorly. Mean symptom scores were better when the children received any anti-manic treatment including an atypical or lithium, but worse when they received valproate or carbamazepine. These data are similar to those from other prospective treatment outcome studies in childhood-onset bipolar I illness. Taken together they all suggest that the illness is difficult to treat and stabilize even when multiple medicines are used in combination. Another speaker, Ben Goldstein, indicated that in the scientific literature, obesity has been associated with a higher number of depressive episodes and longer length of depression, more recurrences of depression, more anxiety disorders, increased numbers of hospitalization, more suicide attempts, and worse functional outcomes. In the same group of patients discussed by Axelson above, 42% were overweight or obese, compared to a 34% incidence in the general population of children in this age range. Factors associated with overweight included substance abuse, a history of physical abuse, prior hospitalization, and being on 2 or more medications. Those who were overweight or obese spent more time ill in a manic or depressive episode. This is one of the first prospective studies to show that obesity in children is associated with increases in episodes, symptoms, and increased severity of illness, but the mechanisms of this effect remain to be clarified. Goldstein cited the data of Bond et al. published in Biological Psychiatry in 2011 that in young adults admitted to the hospital for a first episode of mania, those with an increased body mass index (BMI) had less white matter volume in the brain and less volume in their temporal lobe. These data suggest that obesity may interact with changes in the brain, either driving them or resulting from them. McIntyre noted that a multitude of factors overlap in patients with mood disorders and diabetes. These include abnormalities in insulin, pro-inflammatory cytokines, reactive oxygen species, glucose dysregulation, and abnormal levels of neurotrophic factors. He cited data by Kim and colleagues published in European Psychiatry in 2011 that obesity was associated with decreases in cognition, specifically alterations in attention and processing speed, as well as decreases in verbal fluency. Other data indicate that adults with primary diabetes also have neurocognitive alterations. These may be related to findings that those with diabetes have decreased hippocampal and amygdala volume. Christoph Correll, whose research on obesity is discussed below, also noted at AACAP that new data shows that smoking is also associated with cognitive dysfunction, likely because of the carbon monoxide in cigarettes. McIntyre reported his preliminary data that 40 IU of insulin administered intranasally 4 times a day led to improvement in cognition. He cited the need for studies of the effect of exercise on outcome and cognition in bipolar disorder, as well as the need to study bariatric surgery (weight loss surgery in which a portion of the stomach is tied off to decrease its size) and the potential effects of a ketogenic diet, a high-fat low-carbohydrate diet that produces ketones, which the brain can use for energy. Ketogenic diets decrease oxidative stress and increase insulin sensitivity. McIntyre cited the literature that metformin, a drug used for diabetes, was often associated with small amounts of weight loss, as were the anticonvulsants topiramate and zonisamide. However he noted that in his own experience, the combination of naltrexone at 50mg/day plus bupropion at 300mg/day is associated with substantial degrees of weight loss, and he uses this treatment regimen as a first-line pharmacological intervention in both unipolar and bipolar patients with overweight or obesity. Tina Goldstein discussed behavioral prevention of obesity in pediatric bipolar disorder. She indicated that being overweight with a BMI greater than 25 or obese with a BMI greater than 30 was associated with a variety of poorer outcomes, including more severe bipolar illness, more hospitalizations and suicide attempts, poor quality of life, and more substance use in children with bipolar disorder. She emphasized that many of the atypical antipsychotics are associated with rapid onset in weight gain in the first 12 weeks of administration, and that this requires systematic intervention. Goldstein initiated a program of cognitive behavior therapy and motivational interviewing about healthy behaviors for life. These included: 1) focus on good nutrition, 2) physical activity, and 3) decreases in sedentary behavior. Her preliminary data showed that this treatment intervention may be associated with weight loss in a small number of children and suggested the need for prospective controlled studies. Goldstein also discussed the importance of prevention using motivational interviewing techniques. These techniques have proven useful in bringing about good treatment outcome in diabetes, dental disease, reproductive health, and substance abuse. The 4 major components of motivational interviewing are: 1) expressing empathy (i.e. that staying on a weight maintenance program is difficult); 2) the development and clarification of discrepancies (i.e. between the child’s behavior and his or her goals); 3) accepting the child’s resistance, and 4) support of self-efficacy. Her own training program included three 45-minute sessions in person and 2 phone booster sessions. The program emphasizes 5 different strategies. The first strategy was personalized feedback using family consensus about a) the need for change; b) overview of mood, medications, and weight; and c) assessment and charting of BMI, particularly using a visual presentation of the percentile at which the child was located on the BMI chart. The second component was dealing with the “big 5.” This included: 1) assessment of sweets in beverages; 2) favorite versus healthy foods; 3) physical activity; 4) the number of family meals; and 5) media time, i.e. computers, TV etc. Each of these was rated by the family in a typical week and feedback was given about the recommended amounts of each of these 5 factors. The third component was evaluation of readiness for change and dealing with the child’s ambivalence. Goldstein suggested choosing just two of the goals on which to focus based on their importance and the child’s confidence that they might be able to change that behavior. The fourth component was developing a plan for change. This involved collaboration, considering attainable goals, and noting a menu of options for how to proceed. The fifth approach was to evaluate the change plan and proceed accordingly. This would involve problem-solving, trouble shooting and anticipating future challenges, and increasing motivation for sustaining behavioral changes. She gave a practical example of how the research team identified a child who was waking up sedated and in order to get going and get to school was drinking five Red Bull energy drinks. They agreed to decrease the morning Red Bulls to three and for the child to increase physical activity by playing more basketball with his brother. This resulted in bringing the child in as a collaborator and partner, using an empathetic style, and thus the child could develop his own goals and act on his own to accomplish them. In the case example the child was able to lose weight despite staying on an atypical antipsychotic. Goldstein’s full article on this topic was published in the 2011 volume of Child and Adolescent Psychopharmacology. Dr. Christoph Correll was the discussant of the symposium. He emphasized the importance of developing a systematic treatment plan and personalized feedback for every child who was struggling with obesity. Particularly he suggested that patients be weighed at intake and at each visit. In his clinic, he has reception staff help patients weigh themselves and measure their waist circumference with a tape measure on each visit. When staff got involved in this way, compliance increased from 27% to 90%. Thus management of weight in children with bipolar disorder should be a priority with a focus on prevention, close monitoring, active psychoeducation and motivational interviewing, and the development of an individualized treatment plan.